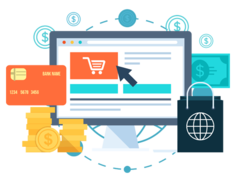 Our packages cater for individuals and professionals looking to host anything from personal websites and blogs to fully functional E-Commerce online stores that can be setup in minutes using a useful range of bundled cPanel add-ons. Setup Wordpress, SEO Tools JetBackup and much more. 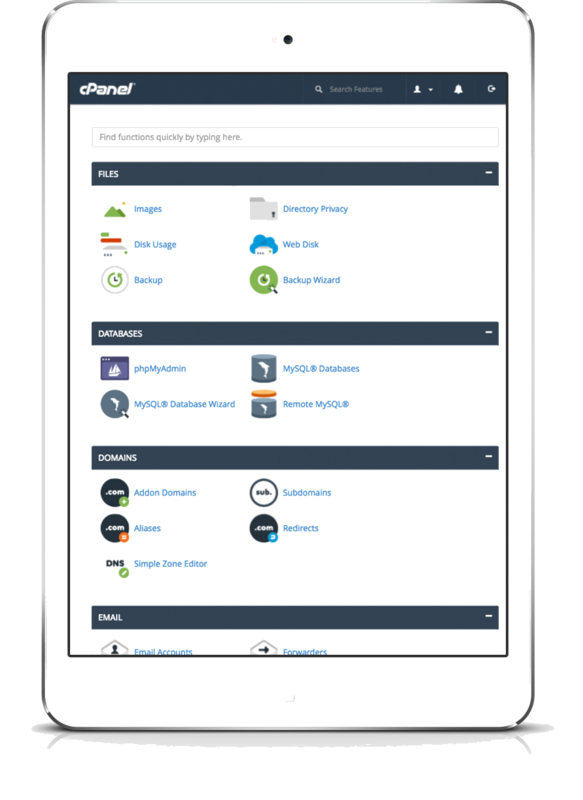 Softaculous is an app installer included free in your cPanel account. It automates the installation of some of your favorite website software such as WordPress, Drupal, Magento, Ecommerce and many more. The user friendly cPanel web interface offers multiple features and a sleek control panel for clients to manage their web hosting, email, zone records, FTP, databases and much more. With cPanel hosting you can manage all of your email accounts from one place. 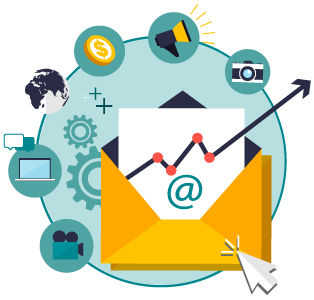 Easily create email addresses, set up email forwarding, customise SPAM filtering and much more. Affordable Domains offer powerful, scalable and secure web hosting with a useful range of add-ons (Softaculous, JetBackups) bundled at affordable prices. To enable web hosting for a domain, the domain will need to be managed via Affordable Domains. We follow a slab based pricing structure for hosting services. The pricing slab that applies to you depends on your total number of active domains with us. As your total number of domains with us increases, you will automatically move to a cheaper pricing slab for hosting services. The #1 Web Host Control Panel With FREE SSDs! Our cPanel hosting environment is built on an enterprise hardware with a feature rich platform. Hosting on speed optimised servers within New Zealand data centre, free SSDs and our up to 20X faster Turbo Servers are all advantages of choosing Affordable Domains cPanel hosting! Hosting servers are located in our New Zealand based Data Centres. Solid State space into server to store your files and website. All packages feature unlimited bandwidth transfer. Full ftp access to mange your site files. Statistics provided from within cPanel. We guarantee our core network will be available 99.99% of the time. Easily create email addresses, set up email forwarding, manage POP, IMAP, SMTP much more. JetBackup is the leading backup solution for cPanel and is included free of charge with our hosting plans. NZ based support is available by email or phone 24/7. Our hosting servers are pre-installed with latest versions of PHP7. What is a sub domain?? A subdomain is an easy way to create a memorable web address for unique content areas of your site. For example, you could create a subdomain for home movies on your site called "movies" that is accessible through the URL movies.example.com in addition to www.example.com/movies. The Business Plan is our most popular shared hosting plan, as it's budget-friendly but give you more disk space and more email accounts. Regardless of which plan you choose, all of our shared hosting plans come with unlimited sub-domains, easy one-click installs of WordPress via Softaculous and other popular content platforms, and 24/7/365 expert support. Can I transfer my web hosting to Affordable Domains? Definitely. Affordable Domains offers different shared hosting plans. Choose the suitable plan that suit's you. We're committed to making web hosting easy and stress-free! Do you provide a "Control Panel" to manage my website? Yes, Affordable Domains features an enhanced user interface that is fully integrated with cPanel. Our single-sign on control panel gives you access to domain management and hosting account management together. Our hosting accounts feature cPanel which is the industry leading control panel and provides a rich online environment from where you can manage your web hosting.